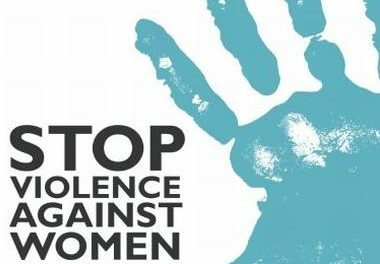 Home » St.Kitts-Nevis » BPW ST. KITTS CONDEMNS RECENT SPATE OF DOMESTIC VIOLENCE CASES ACROSS THE FEDERATION. BPW ST. KITTS CONDEMNS RECENT SPATE OF DOMESTIC VIOLENCE CASES ACROSS THE FEDERATION. The Business and Professional Women’s Club of St. Kitts (“BPW St. Kitts”) continues to vocalize its strong discontent with and condemnation of the recent spate of domestic‐related killings of women within the Federation. BPW St. Kitts reiterates that it is deeply concerned about the ongoing scourge of domestic violence and continues to denounce this critical problem, by raising awareness about gender based violence, especially domestic violence. Domestic violence continues to plague the Federation. This comes on the heels of yesterday’s double‐murder of sisters Jammyliah Finch, 21 and Nyomi Finch, 18, who lost their lives after having been attacked and murdered by a male companion. The news of the passing of such promising young women was particularly difficult, as the Club had played an instrumental role in sponsoring and supporting Nyomi Finch, as she sought to develop herself academically. The Club joins the concerned citizenry in robustly condemning these acts, as domestic violence is not just a women’s issue, but a wider socio‐economic, historical and cultural one, that should be actively condemned and openly engaged with. Just two months prior, on the 21st January, 2018, the Federation was plunged into mourning as 45 year old Shirley Dawn Morton was killed, also at the hands of a male companion in Bucks Hill, Gingerland, Nevis. BPW St. Kitts joins the nation in mourning the passing of Jammyliah and Nyomi Finch and wishes to extend heartfelt condolences to their family.